Piping hot stuffed potato skins filled with tender chilli beef and supple kidney beans, covered in golden, gooey melted cheese. Fire up the oven to 200ºC (180ºC for fan assisted ovens), gas mark 6. 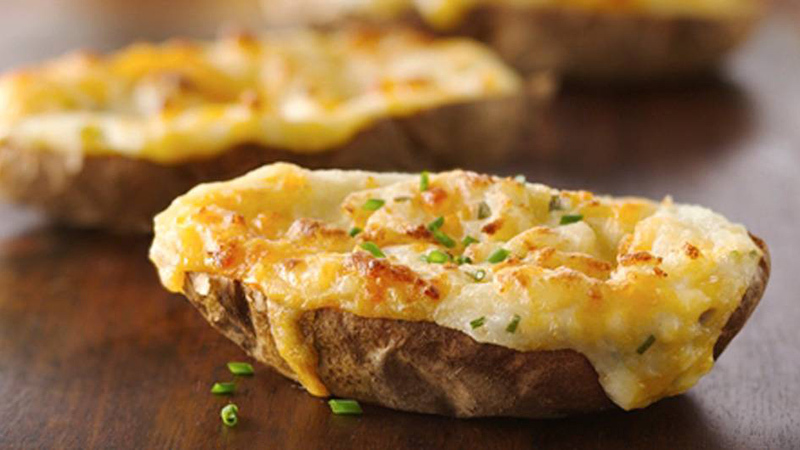 Lay the potatoes on a baking tray and bake for 45 minutes to 1 hour until they’re golden and tender. Leave them out to cool until they’re warm to the touch. Cut each potato in half and scoop out the filling, leaving just a little bit around the inside to make potato shells, and pop them back on the baking tray. 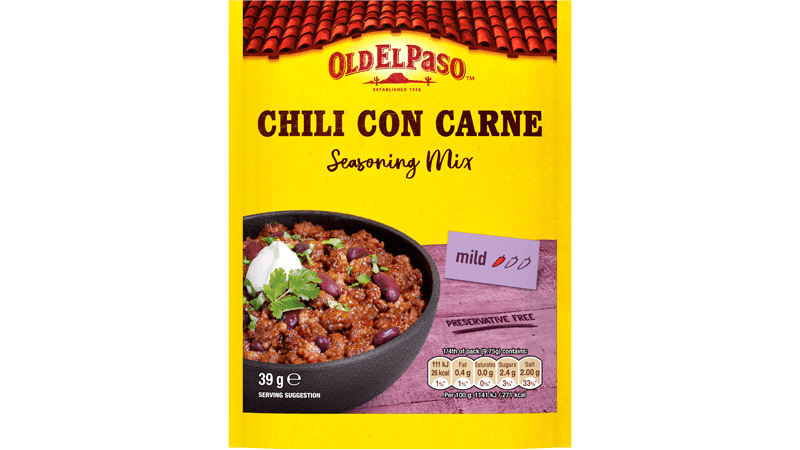 Throw the minced beef and onion in a large pan and dry fry (without oil) until the mince starts to brown, then stir in the Spice Mix for Chilli. Tip in the tomatoes and simmer for 15 minutes. Then stir in the kidney beans until they are supple and heated through and spoon the tasty chilli mix into the potato shells. Sprinkle with cheese and throw it all back in the oven for 10 more minutes, until the cheese is bubbling. Grab a spoon and pile on the refried beans, cool sour cream and a dollop of guacamole. Then gather round and grab as many as you can before they all get devoured.